Made of wood and metal, The Miser attaches to short and stubby wood-cased pencils and adds 5" to the length, creating a better hold for the user. 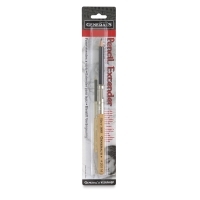 It is a durable accessory for artists, designers, students, or anyone who uses pencils. 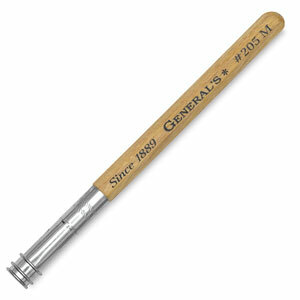 ® General's is a registered trademark of the General Pencil Company.™ The Miser is a trademark.